Just a week since my first Spartan race this year, I was back on the start line of another – this time a little closer to home. 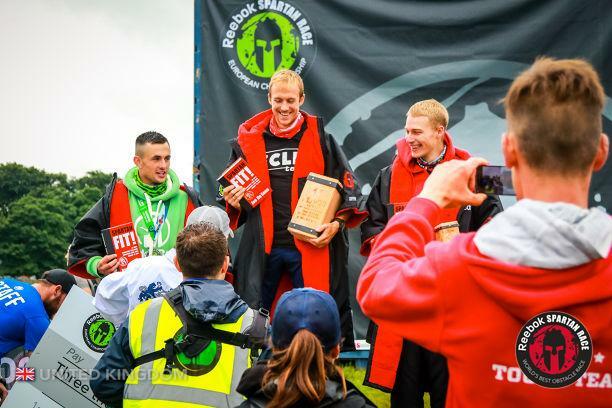 Held in Edinburgh, Scotland, this was the Spartan European Championships and would draw the best OCR athletes from around Europe. 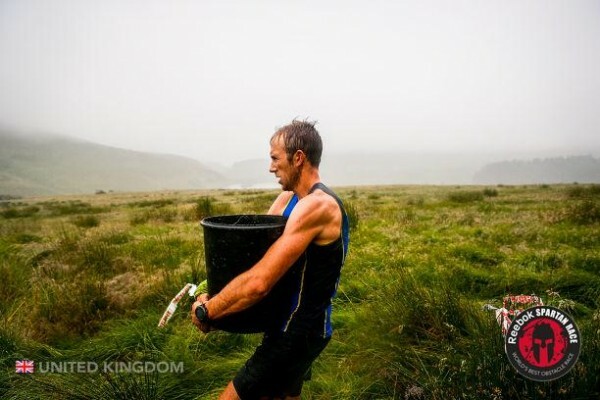 The course was set to be a Beast distance (around 20km) and the toughness of the terrain would not disappoint. The course was practically 100% off trail, moving over vast swathes of uneven-soft-grassy ground which continually went either up or down adding masses of elevation to the course. To make things harder Spartan weren’t going to let up with the obstacles either, which were plentiful and well planned. The majority of the obstacles were still carries, but I was confident with the terrain; unless they were ridiculously heavy I would still be able to do these well. The weather left something to be desired with thick cloud covering the tops and continuous rain splattering down. It wasn’t cold though and this type of weather is something I am more than used to having lived in Bergen for the past years. Standing on the start line I was relaxed but anxious to get started – there is always more to worry about in an obstacle race. It’s not like a running race where simply putting one foot in front of the other as fast as possible will get you the result you deserve. 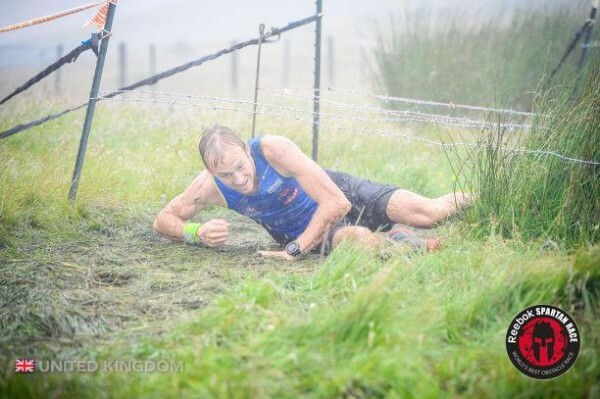 In an obstacle race there are many variables and different challenges that will affect your race, all of which you will have to deal with as they come. After some customary bag pipes we were off and flying down the first hill, it wasn’t long before we were heading up though and the course narrowed to practically single file. I had got ahead early and was happy to be sitting in around 5th where I wouldn’t be held up by the congestion. From here there was a continues onslaught of obstacle, carry, obstacle, carry, obstacle, carry… I was starting to wonder if there would be any left for the second half as we were doing so many so early. Coming into the log carry I had a 15 second lead, not exactly what I was hoping for but it was early and we had a long way to go. The carry went down a big hill before turning to follow a stream back up before an exceptionally steep bank. Now with 3o seconds lead I was intent on extending it. It wasn’t until around the halfway mark that my lead extended itself to a comfortable margin. The bucket carry was by far the hardest obstacle, flat and 800m long it was planned through thick trees, some of which we had to clamber over with our buckets. Berating myself for having to rest multiple times I was sure I had blown my lead. As I came back around though I was informed of the opposite, I was 5 minutes ahead! A time I would double in the rest of the course before finishing in a little over 2 hours 20 minutes. A great race and happy to have won, I once again started to think about my next competition. 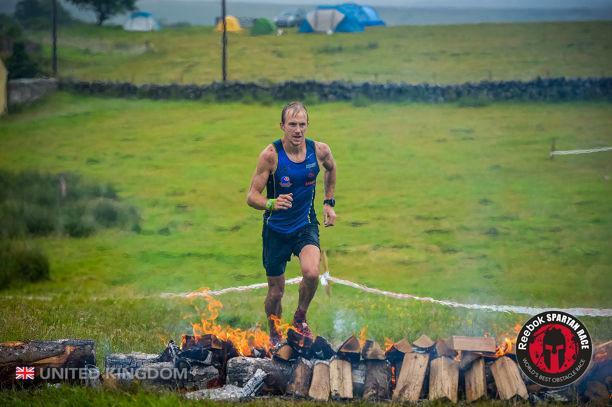 I was now to spend a week split over touring Scotland and the Lake District before taking up my spot in the England team in the home countries international mountain race…very exciting! Awesome read, gutted I was unable to race against Jon, but was an absolute pleasure to watch him compete! Incredible!